Jamie S. Gorski is chief marketing officer for The Bozzuto Group. Jamie is an industry visionary who taps her expertise in brand strategy to create initiatives that strengthen brands and increase revenue. At Bozzuto Jamie provides strategic direction, overseeing all brand, marketing and public relations efforts for Bozzuto’s top-rated development, construction, property management and homebuilding divisions. With more than 30 years of real estate experience, Jamie is well-known for revolutionizing marketing in the industry. She has won numerous awards, including over 35 national honors from The Webby Awards, Multifamily Executive (MFE), National Apartment Association (NAA) and National Association of Home Builders (NAHB). Recently her team was honored with a technology award from University of Maryland for Bozzuto Listens. Jamie was chosen as Legend in the Industry by Multi Family Pro. 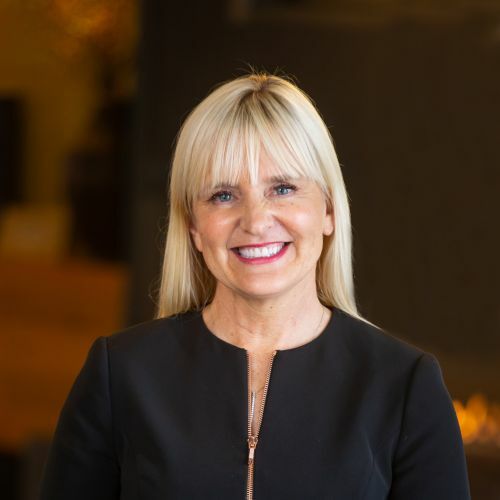 The Journal of Property Management honored her as one of the women changing the world of real estate management, and she was named as one of the most influential multifamily executives to watch by Multi-Housing News. She was recently honored by the CMOs Leading Innovation Conference (CLIC) with the Beacon Award. Jamie serves on the advisory boards for the College of Mathematics for The Ohio State University, Zillow Multifamily and Virginia Tech Property Management, where she is able to share best practices across marketing, digital and real estate, while mentoring rising stars. Jamie earned a degree in mathematics from The Ohio State University, where she was captain of the swim team, a Big Ten Champion and an NCAA National finalist. She and her family reside in Annapolis, Maryland.